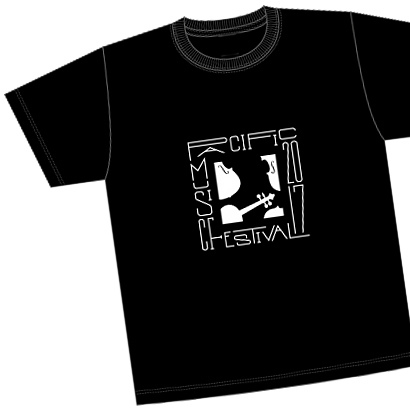 Every year, official goods are produced in commemoration of PMF and are sold at concert venues as well as the PMF Organizing Committee office. 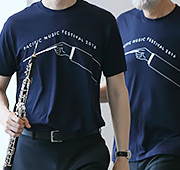 PMF 2018 marks the centennial of the birth of the festival's founder, Leonard Bernstein, and this year's T-shirt was designed by Mr. Yusuke Momma as an expression of his gratitude and respect for Bernstein. This is the 3rd in a highly popular series by this young, Sapporo-based graphic designer, the first 2 of which sold out very quickly. Don't miss your chance - order yours early! 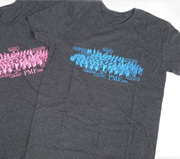 "The staff lines recall the striped shirt worn by Bernstein at the first PMF, in 1990. 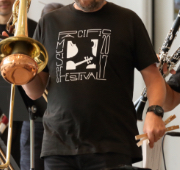 The treble clef in the center functions as the '&' connecting PMF 2018 and the Bernstein centennial year. 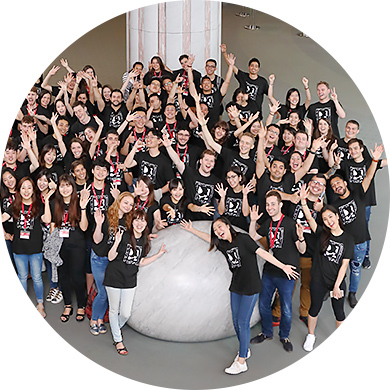 Ivy was chosen for its symbolism of 'eternal love/friendship' and 'prosperity,' paying homage to Bernstein's lifelong love of music and people, and with hope for the prosperity of the international educational Pacific Music Festival." The new-and-improved design and content of the programs not only introduces the performances and artists, but also includes essays and other readings that will enrich your understanding of the festival. A must-have! The design is centered on the violin, an instrument at the heart of both the festival and of classical music itself. 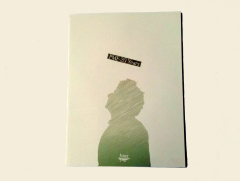 The 2nd in a series of designs by Sapporo-based graphic designer Yusuke Momma. Perfect for both indoor and outdoor occasions! 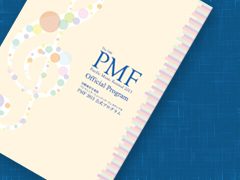 Commemorating 20 years of PMF, this anniversary booklet contains photos, facts and figures, and details PMF's path to this point as well as its future direction, expounding its story in special articles - the culmination, in a sense, of PMF's first twenty years. 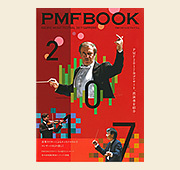 Also included is a specially produced CD recording of the PMF 2009 Anniversary Orchestra performance. Introductions to all PMF 2016 concerts and artists: a must-have for fans! Casual wear with a stylish design by Sapporo-based graphic designer Mr. Yusuke Momma. Perfect attire for an outdoor concert! 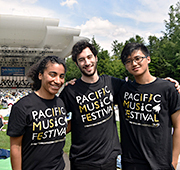 Introductions to all PMF 2015 concerts and artists: a must-have for fans! 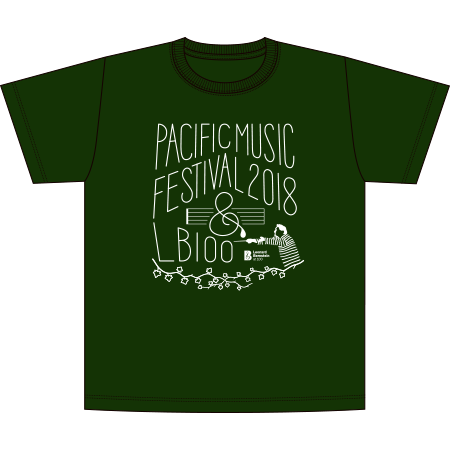 This year's design evokes a concert atmosphere, combining musical-instrument illustrations with PACIFIC MUSIC FESTIVAL lettering. The letters of SMILE are highlighted, reminiscent of the many smiling faces that can be seen at concerts during the festival. 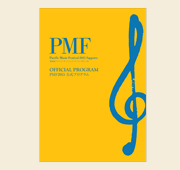 Introductions to all PMF 2014 concerts and artists: a must-have for fans! Includes information on Free Concerts. 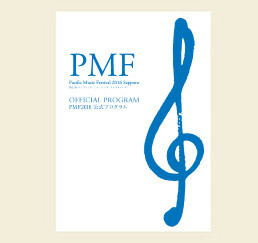 PMF's primary focus: the orchestra. The design concept includes various personalities gathering together and making music as one. 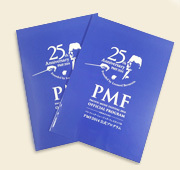 A book full of information aimed at making PMF 2013 more enjoyable, including profiles of all of the artists, introductions to the Academy members, descriptions of the programmed music, and more. A turquoise blue that shines along with the blue summer sky.